This is the perfect dessert — it tastes like an amazingly decadent pumpkin pie… but it’s actually very healthy! Made with 100% whole wheat bread and nutritious sweet potato! 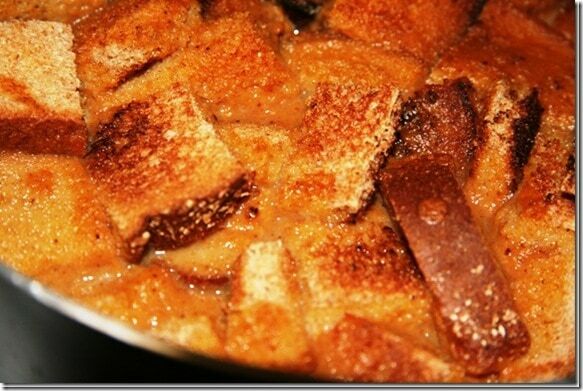 1) Whisk all ingredients except the bread together in a large bowl. 2) Toast the 5 slices of bread. This will make it hold it’s shape when it bakes (when I dream up a new recipe, there’s no way my excitement will allow me to wait for bread to go stale!). 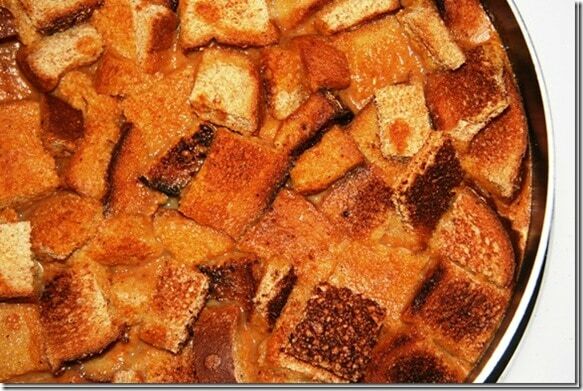 3) Cut the toasted bread into cubes and add into a deep pan. 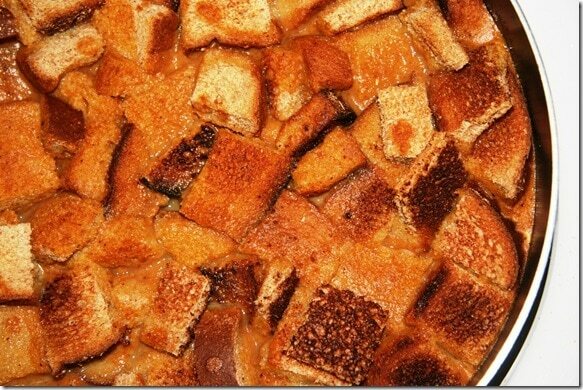 Pour the sweet potato liquid mixture evenly on top of the bread. 4) Pop the pan into the oven for 25 to 30 minutes. Your kitchen will shortly smell amazing. Wow…that looks AMAZING! I’m making this TONIGHT! Aside from looking delicious, this does have whole wheat bread and pumpkin, so while it is hardly health food, it is at least not empty calories with no merit. So how did you come about designing this? Now this is a nice little combination to stumble across. Gotta love Sweet Potatoes! OMG! I can’t remember how I found your blog and it’s 102 degrees outside, no time to be running an oven, but I REALLY want to make this right now. Looking forward to reading more. Thanks! Hi there, I made this today using pumpkin. Can you give us an idea of what 2/3 of can of sweet potatoes equates to in cups? What size can perhaps? Cups is better. I guessed and think I might have gone overboard. Still very good though. great recipe!! Could u use cooked& mashed sweet potatoes instead of canned? Thank you! !